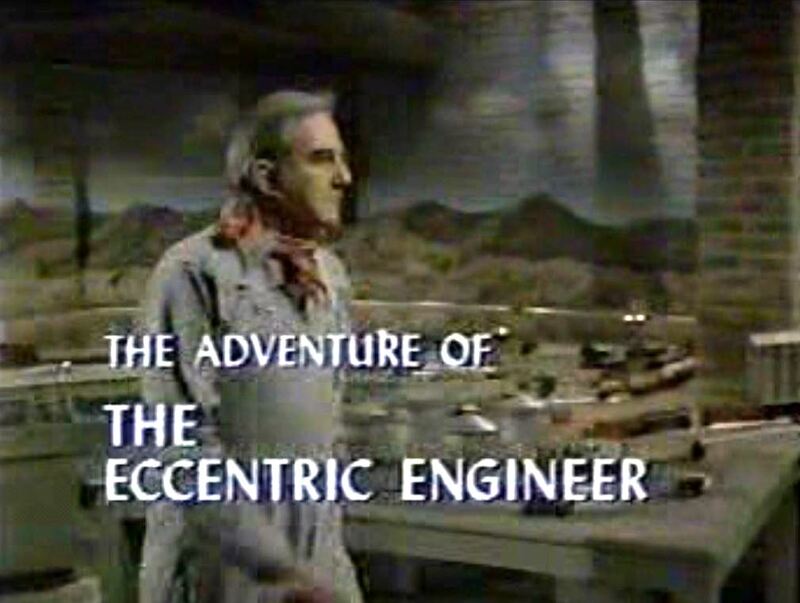 The Adventure of the Eccentric Engineer was an episode during NBC’s one season of the Ellery Queen television show from 1975-1976. 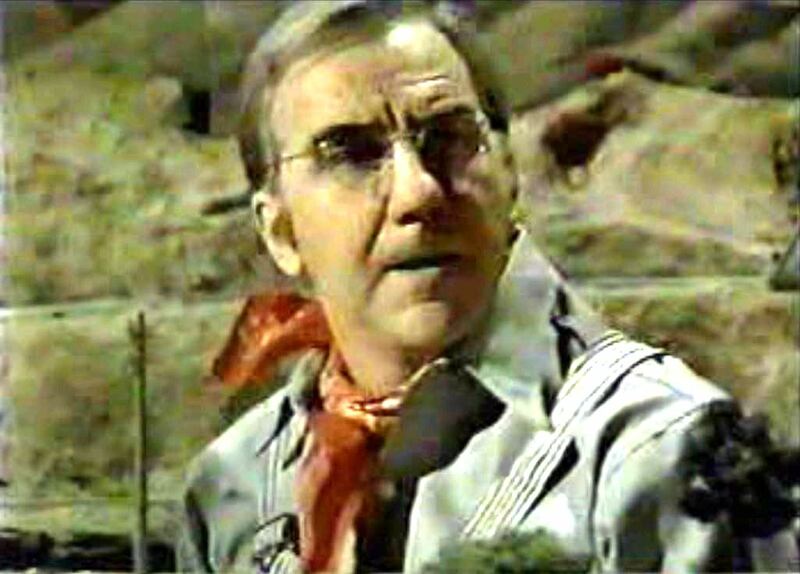 Making a cameo (he gets bumped off right away) is Ed McMahon as Lamont Franklin. 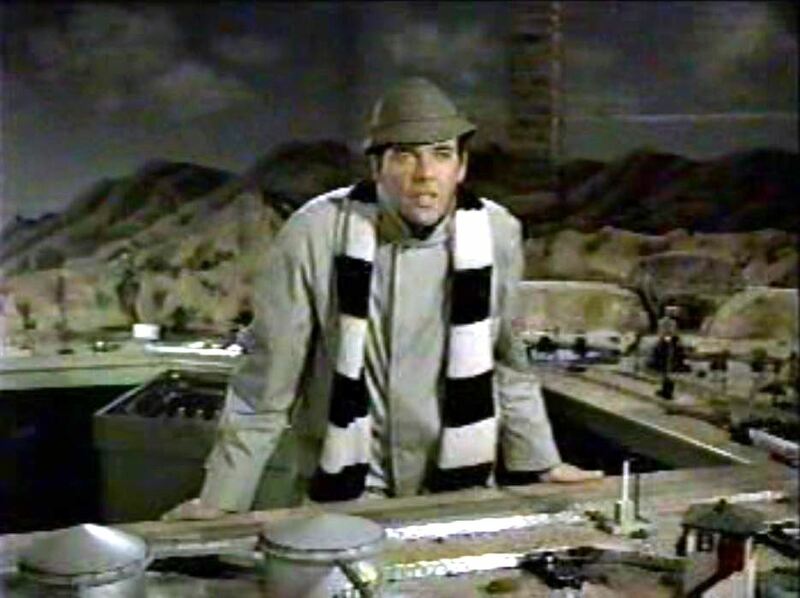 Here he watches his model trains operate dressed up as an old time steam locomotive engineer. 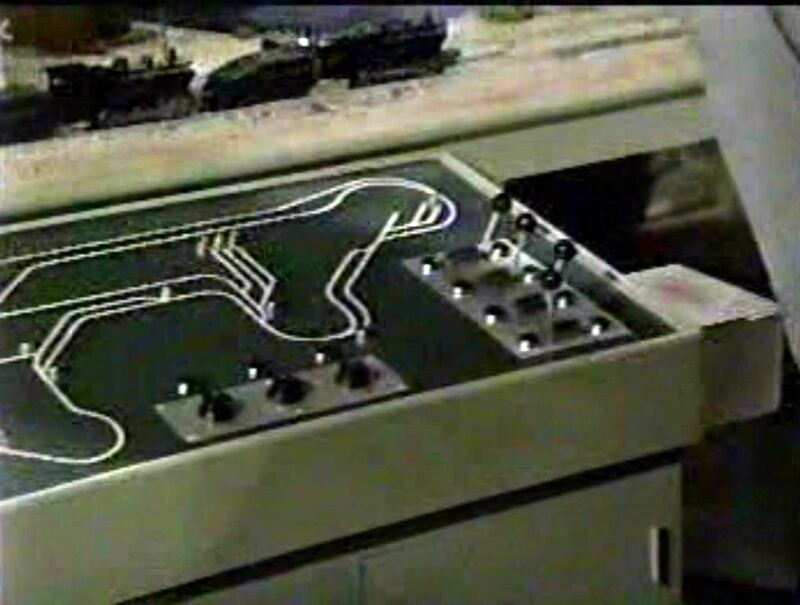 The rub is that Lamont/Eddie McMahon (as my wife calls him — long story) quit his job at his own successful company to “go play with trains at home”. Everyone thinks he’s gone nuts. But not so fast! Why would someone bump this guy off? What’s so important in that train room? Let’s come along and find out! 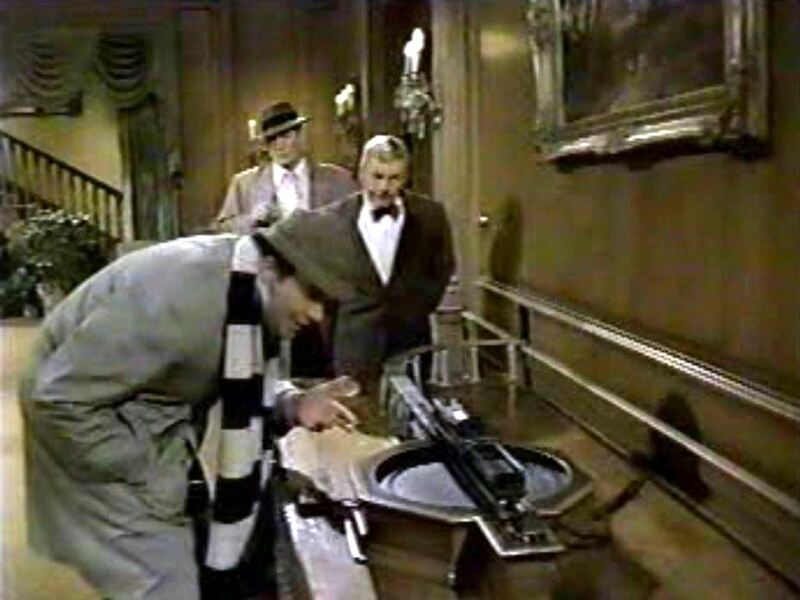 Ellery Queen (played by Jim Hutton) breaks the fourth wall and challenges the viewer to guess who did the murder. 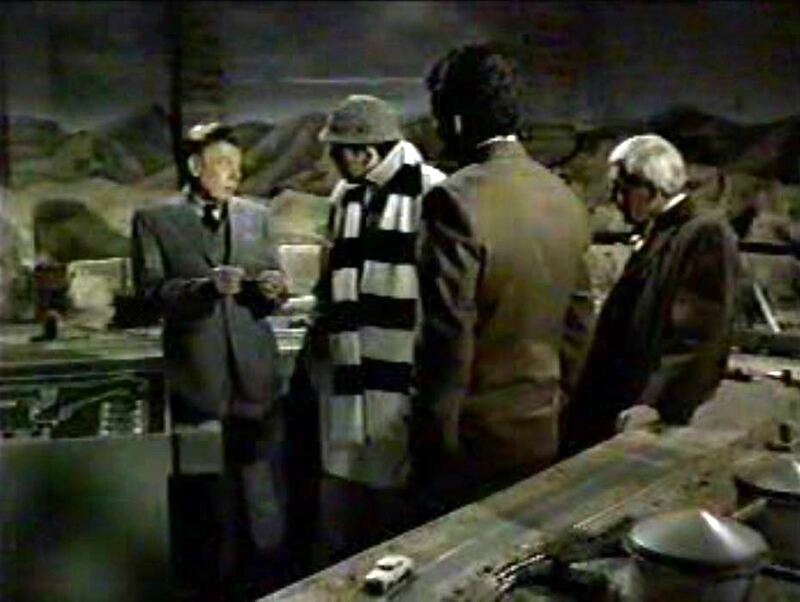 In the background is the magnificent O gauge layout built (I’m guessing) just for this episode. 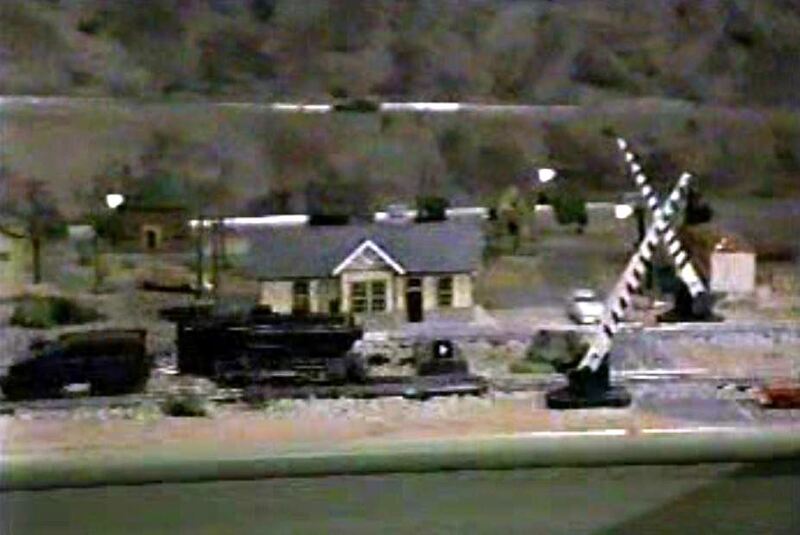 Lamont looks over his layout with satisfaction. Nice steam locomotive bell on the filing cabinet. ; Close up of the fancy control panel. 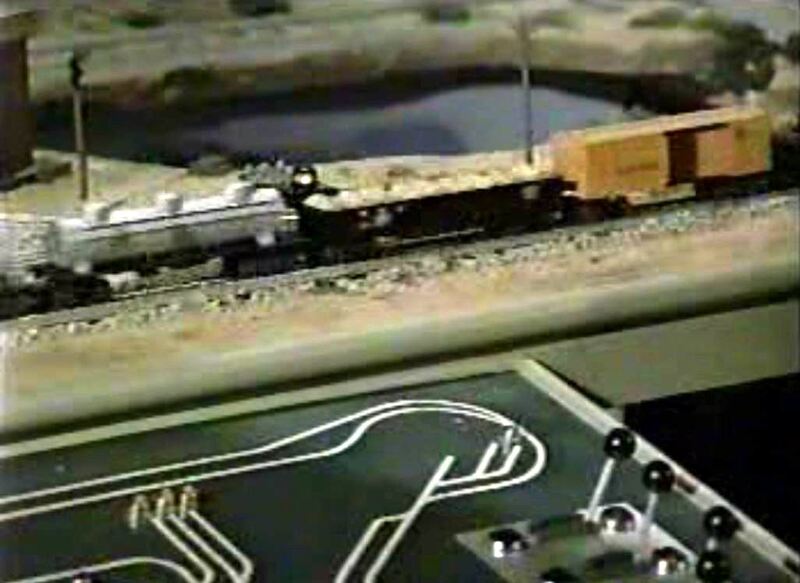 A pair of switch engines leads a freight; a tank car, gondola and box car pass the control panel. 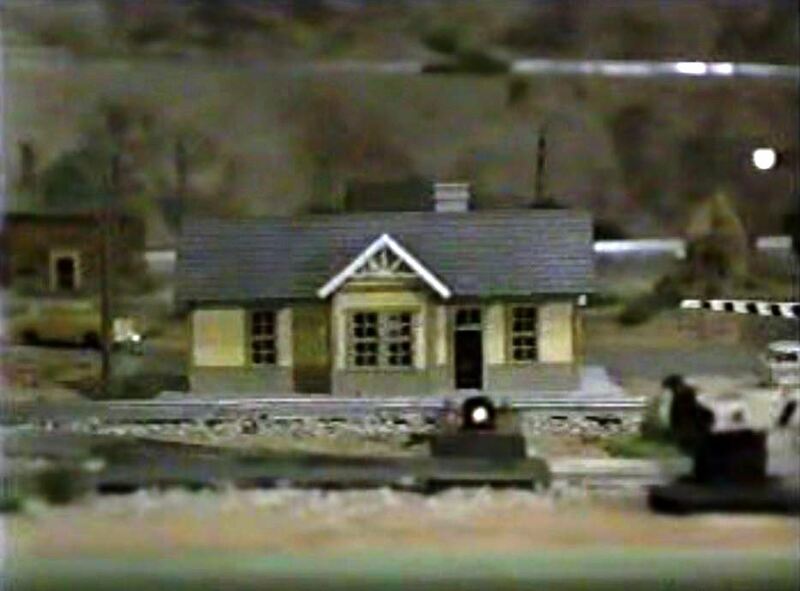 Once the murder is discovered, Ellery, Inspector Queen (played by David Wayne) and Sergeant Velie (played by Tom Reese) are on the job; Posing on the turntable (inside the house) is a Chesapeake and Ohio Railroad cow & calf switcher set. 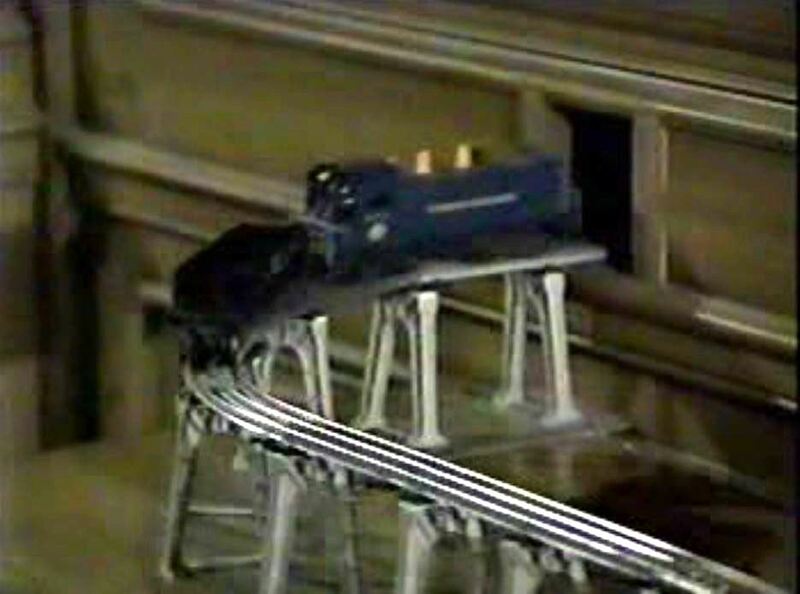 The track goes into the wall and out to the layout in another building. A clue! 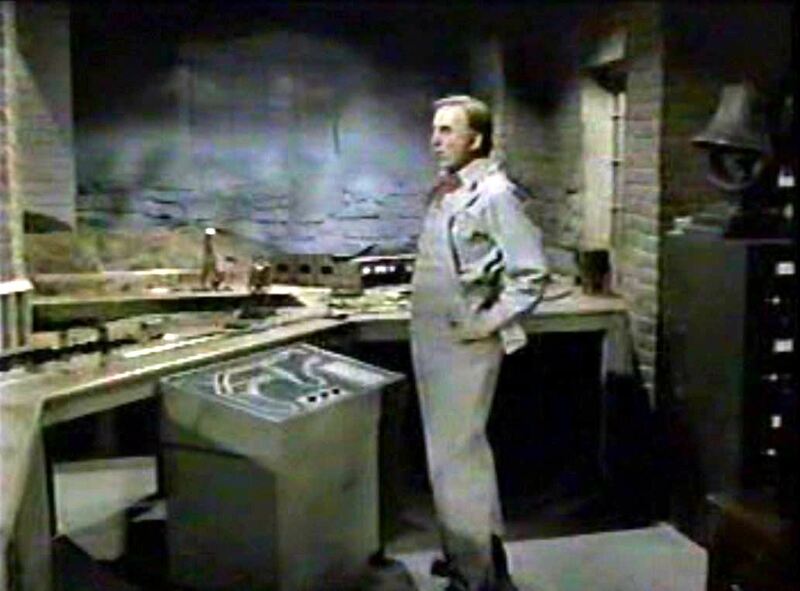 Crumpled up in the ashtray is a message from Lamont; Meanwhile back in the train room, another view of the layout. Already, Ellery is interested in the box attached to the control panel; Note how the craftsman painted mountains and sky on the brick walls behind Ellery. 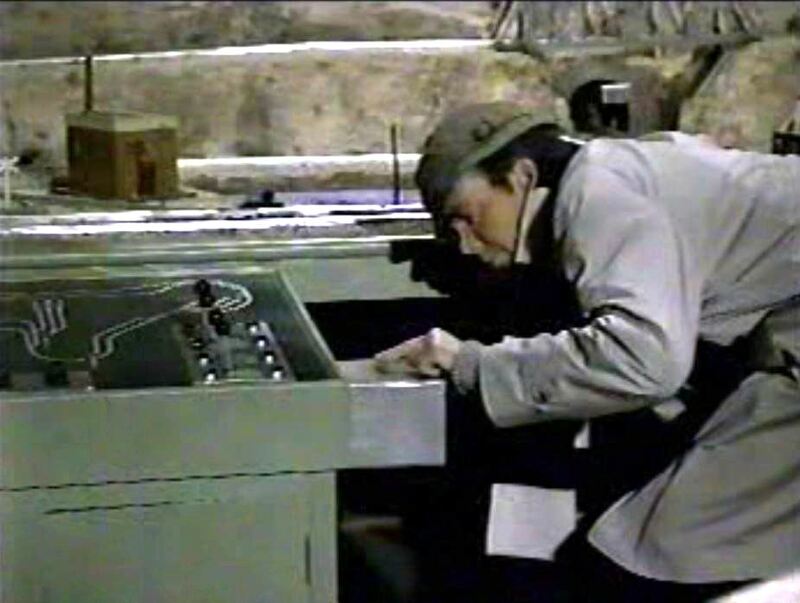 In a later scene, Arthur Godfrey’s character Claude explains about the Operational Matrix Scanner (the card that plugs into the layout control panel). 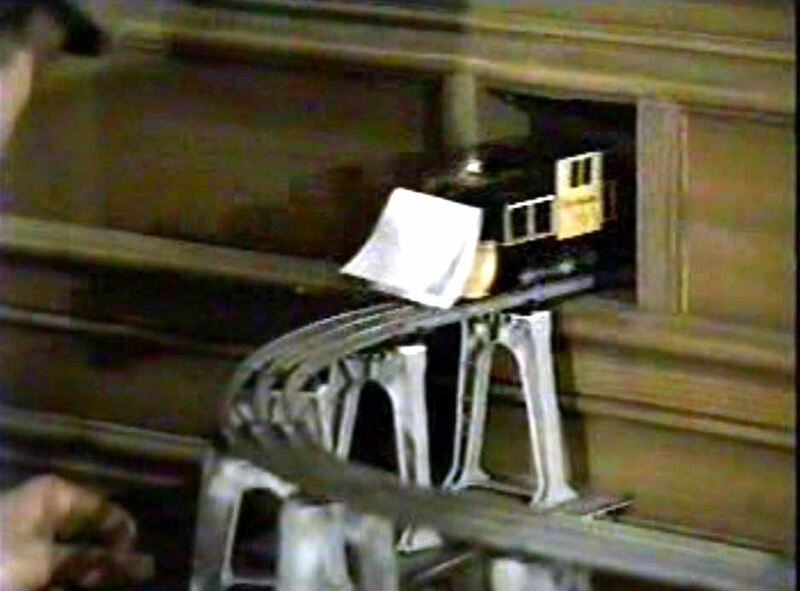 The wires on the card are a program – which tells the train what to do (stop, start, run accessories). 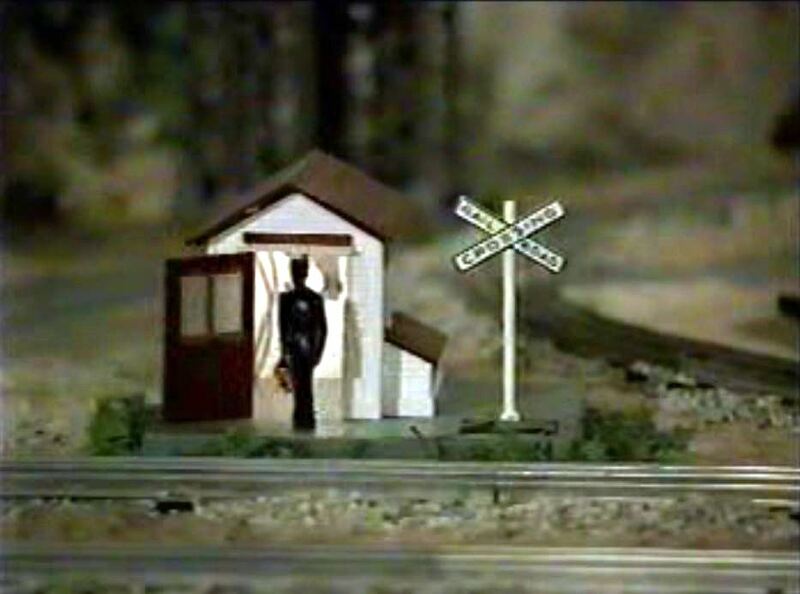 The card operates the gateman shanty, causes the train to stop until the gates go down, and switches tracks to run on the back part of the layout. Again, notice how the scenery continues onto the brick walls, including a pillar. 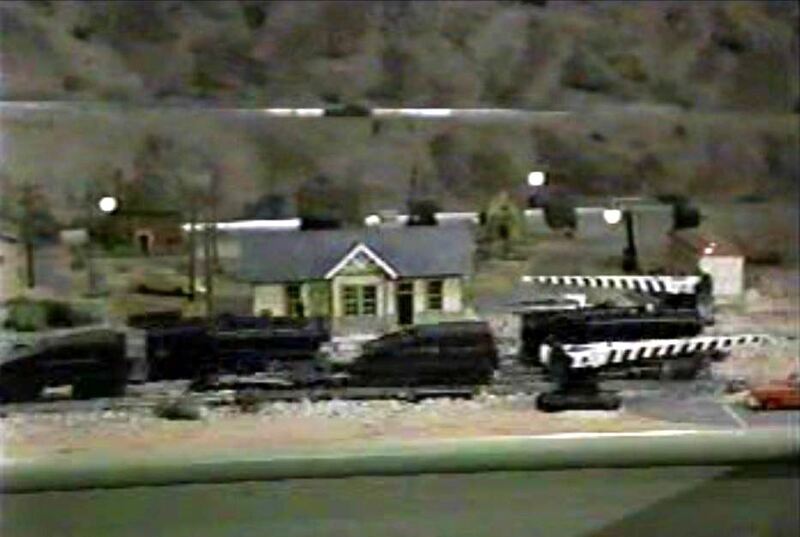 What appears to be a streamlined steam locomotive leads a train of passenger cars; Nice shot of a station on the layout. 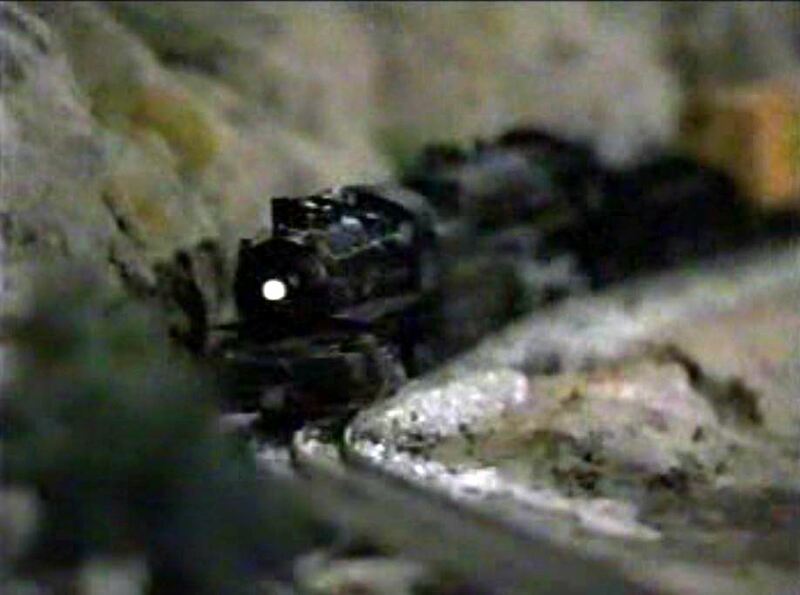 The C&O switcher set heads into the tunnel. After some switching moves over at the layout, back comes a little D&RGW snowplow switcher….with a note stuck to the front! Ellery’s girl, Miss Farnsworth (rawr-rawr) played by Ann Reinking – was his assistant in the train room. 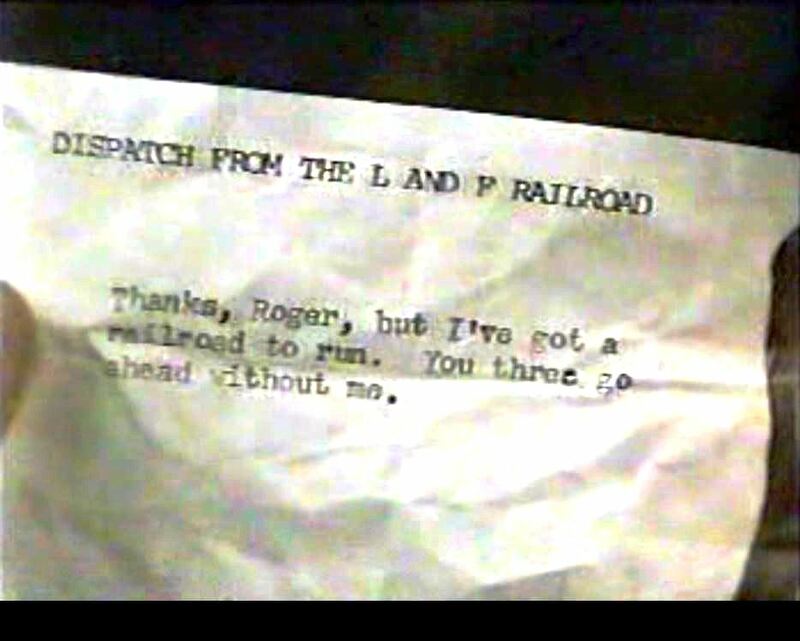 She put chewing gum on the cowcatcher of the D&RGW snowplow which scooped up the REAL telegram/message stuck inside the long tunnel. From this clue Ellery was able to deduce the killer. 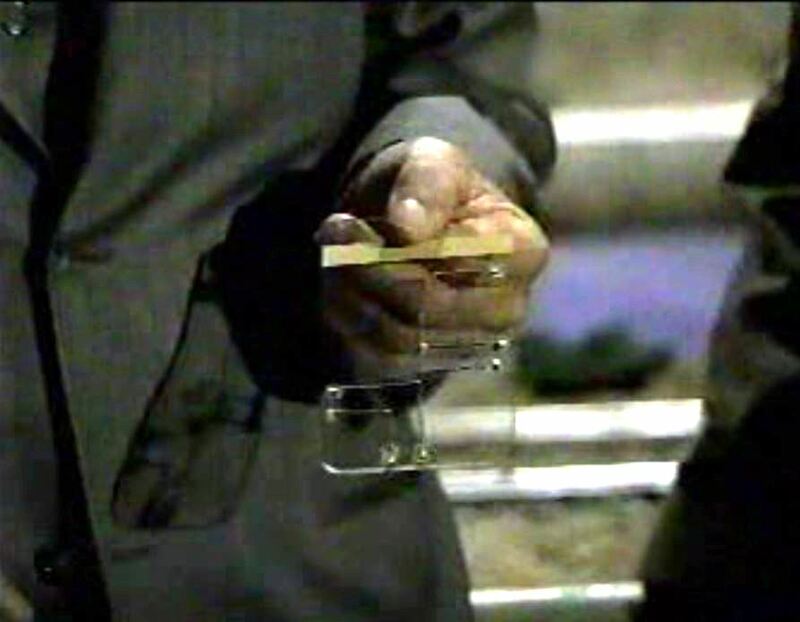 Not a bad little episode from the Ellery Queen TV series. What an outstanding job the art department did to set up that layout. It makes me wonder what happened to the bits and pieces after shooting wrapped. Highball! 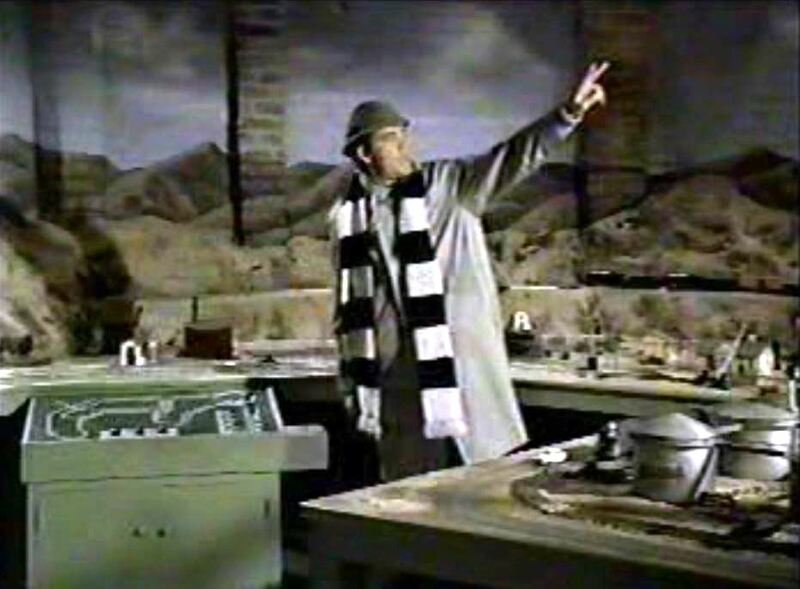 This entry was posted in Uncategorized and tagged Arthur Godfrey, Chesapeake & Ohio Railroad, David Wayne, Denver and Rio Grande Western Railroad, Ed McMahon, Ellery Queen, Jim Hutton, Lionel Trains, Model Railroad, NBC Television, O Scale, The Adventure of the Eccentric Engineer, Universal Television. Bookmark the permalink. 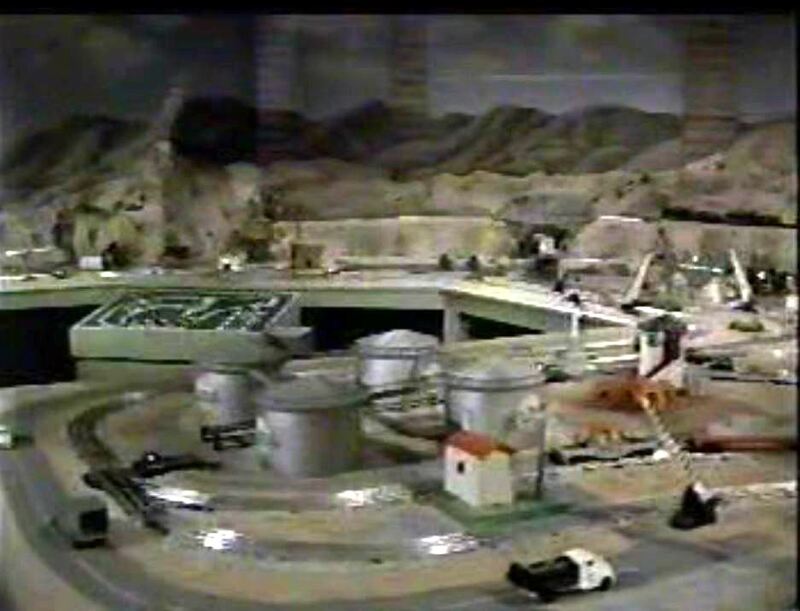 I met the creator of this layout used in the episode at a train convention in Pasadena a few years back. They had a photo still of Jim Hutton posing next to the set and I asked him if it they used an existing setup. 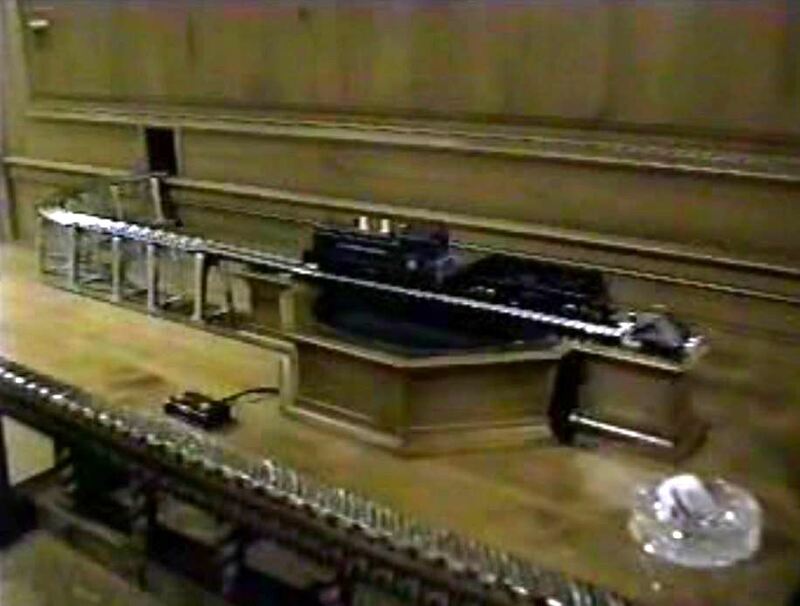 He told me the entire layout was specially built for the episode. Not sure what became of this beautiful layout, I hope someone saved it. 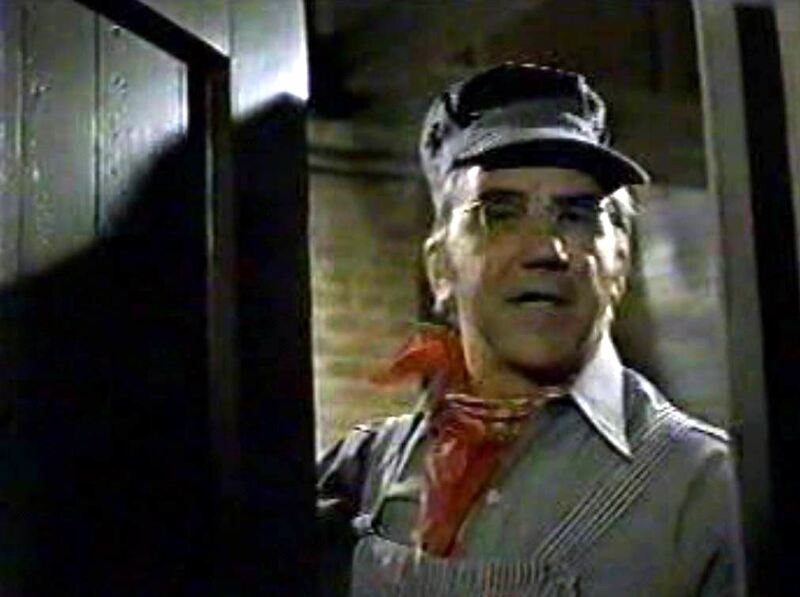 My history teacher in eighth grade, who was a huge train fan, showed our class this episode as part of a murder mystery series. Thanks for the pictures! Brought back memories.